We have moved locations, but that doesn't mean you can't still get your favorite meal at South Portland House of Pizza. Not only do we serve great food and provide a wonderful place to eat and watch your favorite sports team... - we will also chat with you about what is going on in the community. We donate to our local schools and non-profit organizations who help nurture this vibrant city! Our employees are dedicated people who are here to make your visit an enjoyable and memorable experience. 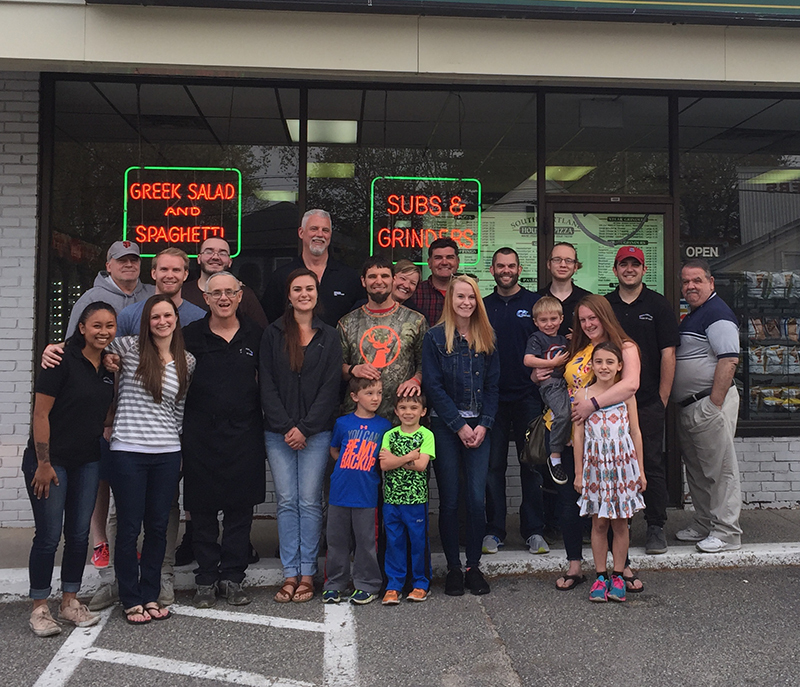 We love South Portland and hope to see you soon! We are happy to take your order! We have a great variety of oven grinders made to order. We pride ourselves on fresh ingredients, high quality meats and cheeses and plenty of options! Traditional greek style crust with homemade pizza sauce and a blend of mozzerella and cheddar cheese. Order one of our specialty pies or customize your perfect pizza. Enjoy one of our pasta selections with your choice of toppings. Our famous grilled chicken salad is a fan favorite. We use fresh veggies prepared right in house. Chicken Fingers, French Fries, Onion Rings, and Buffalo Wings are always a special treat when paired with one of our amazing dipping sauces! "Eric makes the best cheeseburger sub around!" "Fresh ingredients matched with friendly service"